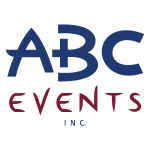 Maryland Seafood Festival - ABC Events, Inc.
Mark your calendars on September 7th & 8th for the 52nd Annual Maryland Seafood Festival! We’re celebrating over 50 years of food and fun at Sandy Point State Park with a weekend full of delicious seafood dishes, interactive cooking demonstrations, exciting competitions, kids activities and more! While you sample all of our tasty offerings, enjoy all of our maritime related exhibits, contests, and activities. The Maryland Seafood Festival also hosts loads of local shopping and vendor options, a fantastic beverage selection with lots of local craft beer and wine, and tons of kids activities, all hosted along the beautiful shores of the scenic Chesapeake Bay. Looking to help out? We have numerous volunteering opportunities. Our volunteer signup sheet will be up soon! Parking at Sandy Point will be available only for those who pre-purchase a parking pass. Additional parking is available at Anne Arundel Community College, and there will be shuttles to transport guests from the parking lots to the Maryland Seafood Festival and back again! A portion of the proceeds from the festival go to our local charities. 9:00pm Festival Closes Please Drive Safely! 7:00pm Festival Ends Please drive safely! Come try all the delicious soups and vote for your favorite! Watch local culinary artists display their skills. Don’t leave before getting a taste! Test your eating, picking, and shucking skills against other competitors! Shop local artists and merchants to find unique creations! What goes better with oysters than beer? Get your fill in the Beer & Oyster Tent! The kids will love Entertainment Ave, the Fishmobile, the Raptor's Eye display, and much more! 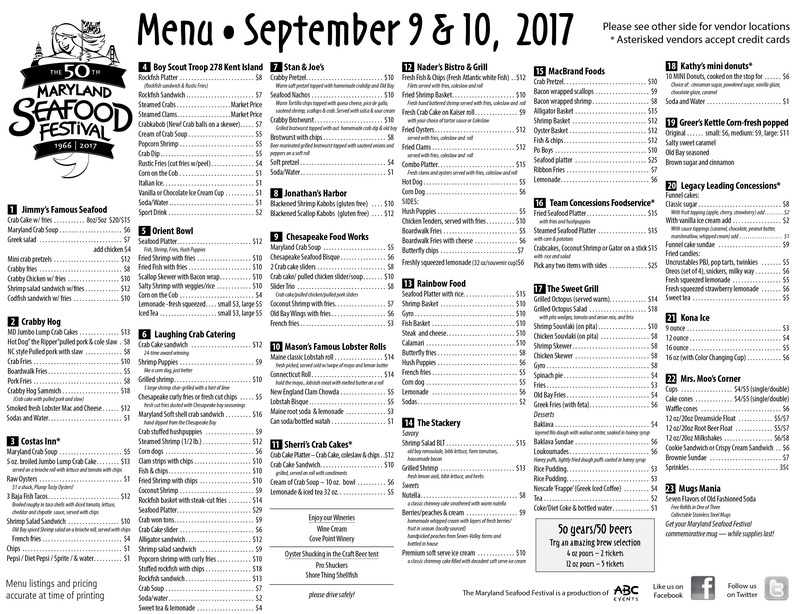 Click here for last year’s menu! The 2019 menu will be posted prior to the festival. Saturday, Sept. 7 – 10 a.m. to 9 p.m.
Sunday, Sept. 8 – 10 a.m. to 7 p.m.
What is the festival's cancellation policy? The Festival is open rain or shine. 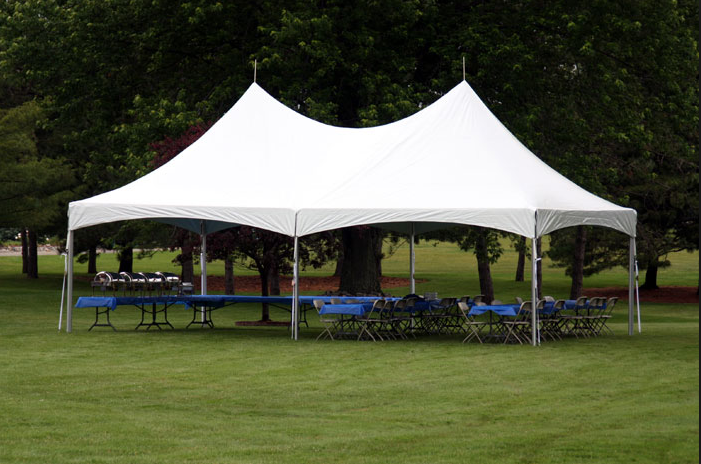 The event is held in an open air setting, however there are multiple eat-under tents provided on the Festival grounds. Does General Admission include all-you-can-eat food/drinks? General Admission does not include food or drink. Most food inside the festival is purchased via cash, although some food vendors accept credit cards. You can click here to see a copy of the 2017 menu. VIP Tickets Include: admission, beer/wine/soda/water. Exclusive restrooms. Complimentary priority parking adjacent to the main entrance available with online purchases only. What is there to do besides taste seafood? Live entertainment is provided during the weekend long event. Special events include the Crab Soup Cook-off, Chef Demonstrations, Craft Beer & Oyster Tastings and much more. The Festival also features a large variety of artisans and craft vendors, interactive kids zone and much more. There is plenty to do, for all members of the family. While the park is handicap accessible, visit the Sandy Point State Park’s website to learn more about their accessibility. Please note, the Festival is held on the South Beach area which has a majority of hard packed dirt and beach access. Some of the Festival events/activities do include the sandy beach, but no stairs. To get a better idea of the grounds, visit our link for the Festival Grounds Map or you can also visit the Sandy Point State Park website to view their map. Yes. 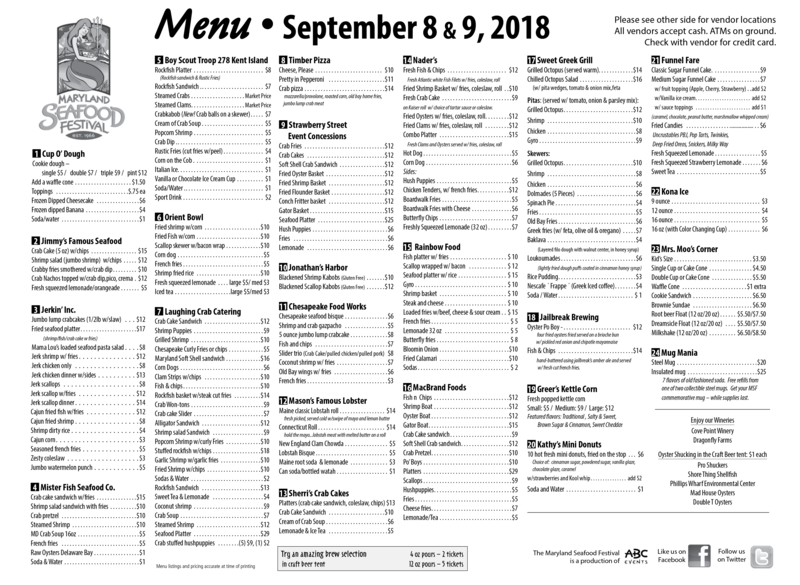 Here is the 2018 Grounds Map. What does the festival offer for kids? There’s lots to do for the kids! “Raptor’s Eye” display – includes live birds of prey as well as “touchables” for the kids. Am I able to volunteer my time for the festival? Yes! We are looking for friendly people to help us put on a great event. Volunteers receive free parking at Anne Arundel Community College and admission to the Festival. Click here for more information. Parking at Sandy Point State Park requires a pre-purchased parking ticket, available online for $10. There is also parking at Anne Arundel Community College for a suggested donation of $5 and free shuttle to the festival. Please visit the Festival’s Parking Information page for more information. Can you make any hotel recommendations? Yes. Country Inn Suites offers discount rates for the Maryland Seafood Festival! Visit their website or call 410.571.6000 to book a room. Yes! We have a number of Green initiatives to do our part to protect the Chesapeake Bay and the seafood bounty it provides. The Maryland Seafood Festival will continue the Maryland Seafood Festival’s Pledge to “Go Green!” With our crowds enjoying the bounty of the Bay, it only makes sense to be good stewards in return. Support and promotion of “True Blue” – Maryland’s support of the native Blue Crab! And remember, without a healthy Bay there is no Maryland Seafood! Thanks for doing your part for the Bay and joining in our efforts! Can I camp or park my RV at the festival overnight? Sandy Point State Park does not allow camping or overnight parking on grounds. The Annapolis & Anne Arundel County Conference and Visitors Bureau should be able to help you find camping/RV locations. You can also check the website for the Maryland Association of Campgrounds. If you are using the “interactive directory” on their site, Central Maryland Area would probably be the closest to the festival, which is located in Annapolis, MD. Can I bring coolers or outside food/beverages to the festival? Coolers and outside food/beverages are not permitted at the festival. The purchase of food and beverages inside the festival helps support local organizations and charities. The Festival offers a wide variety of food, beer, wine, soda, tea, and water. Should I bring a chair to the festival? The festival offers a large eat under tent where chairs and tables are provided. Seating is also provided at the main stage. You are more than welcome to bring your own chairs if you would like, but keep in mind the festival spans about 2-3 football fields. Unfortunately, pets are not allowed at the festival. I would like to schedule a bus group to attend the festival. How can I do that? Please read the information and complete our online bus reservation form if you would like to bring a bus group to the Maryland Seafood Festival.